I have more LinkedIn connections than Facebook friends – 371 on LinkedIn and 269 on Facebook. That’s because of my personal rules for adding people to those networks. I’m happy to connect with people on LinkedIn who I’ve worked with, known in person, or crossed paths with digitally. But I really don’t want all of those business contacts to have access to the personal details I share on Facebook. 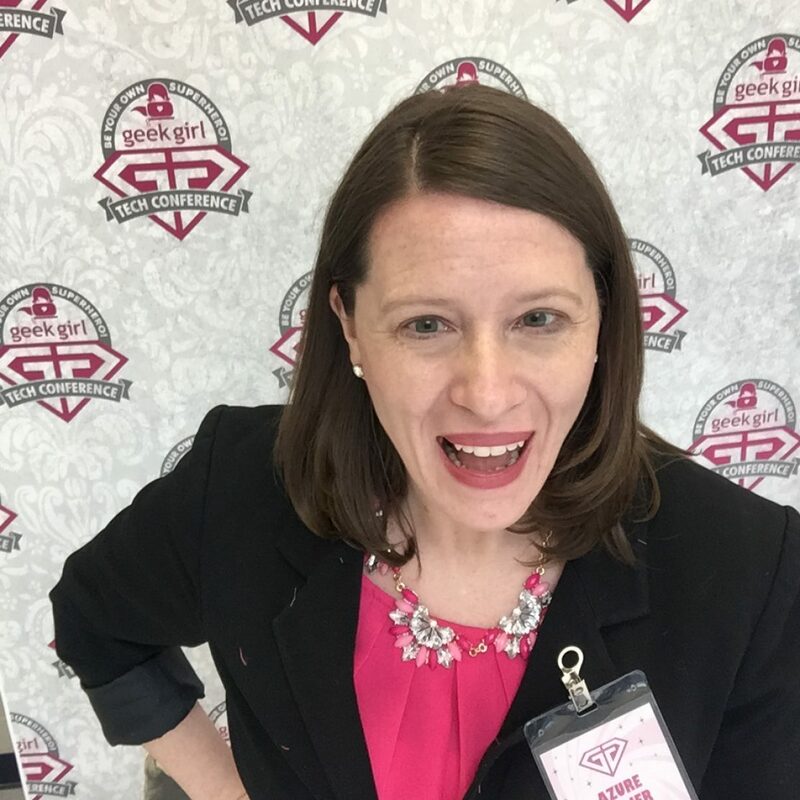 Since Facebook tends to be a place where the conversation mostly leans toward personal than professional, I’ve found my LinkedIn community to be a place where I can learn more about the people in my network, tap into their collective skills of the people in my network, and discover new connections. And LinkedIn has a few resources to help me do that – some “secret” resources that you might not know about. This is my favorite LinkedIn feature. LinkedIn InMaps is a product of LinkedIn’s analytics team, and is an “interactive visual representation of your professional universe, based on the relationships between your connections.” InMaps organizes your contacts into color-coded clusters, and it’s pretty easy to tell what past jobs and connections have influenced each cluster. 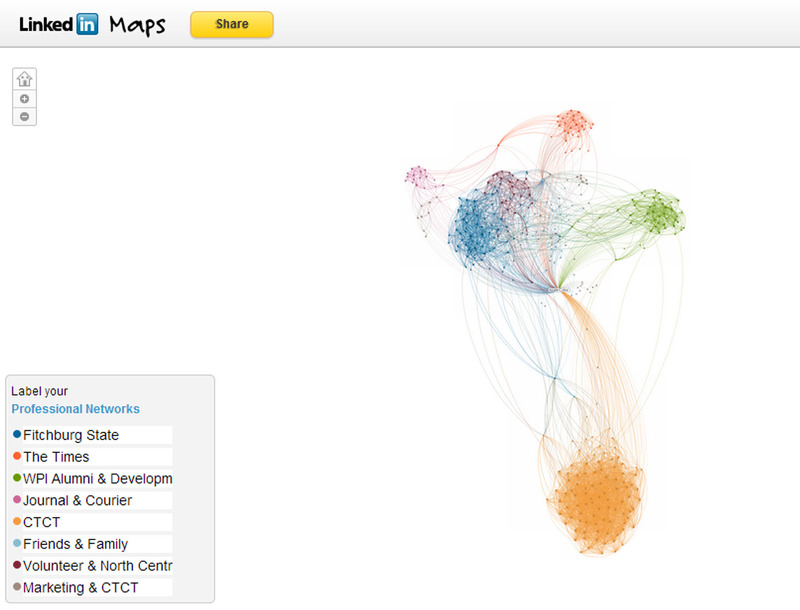 The most interesting part of my InMap is the connections I’ve made during my current position at Constant Contact. I’ve been there a little over 2 years, and that’s the largest cluster of connections – even larger than connections by positions I’ve had for 4 or 5 years. You can also see which people you’re connected to in your network are connected to others in your network, just by clicking their name. The larger that person’s dot is, the more shared connections you have. In this example, you can see visually who my colleague Dave Charest is connected to – their threads are darker than the non-connections. The right sidebar of the page lists that connection’s title, resume highlights, and some of your shared connections; there’s a link you can click on to see all of your connections. LinkedIn’s mobile app allows you to sync your phone’s Outlook calendar with your LinkedIn contacts so you can get to know more about the people you’re meeting and working with. To get started, click on the blue LinkedIn logo on the app, then choose calendar, and allow access to your phone’s calendar. 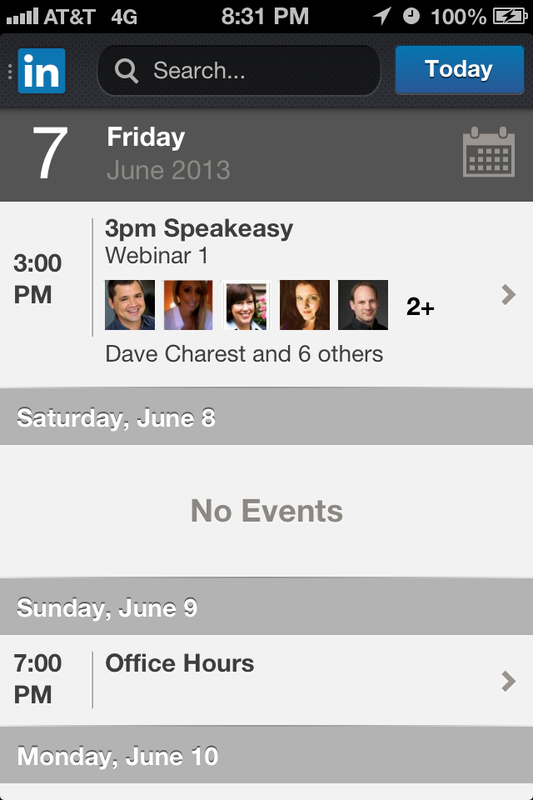 The calendar sync function automatically pulls invitees’ profiles and adds their photos to your scheduled events. In my case, most of my meetings are with people I already am connected to, but this is a great tool if you have meetings scheduled with people who are new to you, or are from other companies. Curious to see if any of your fellow college alumni work in your area and in your industry? 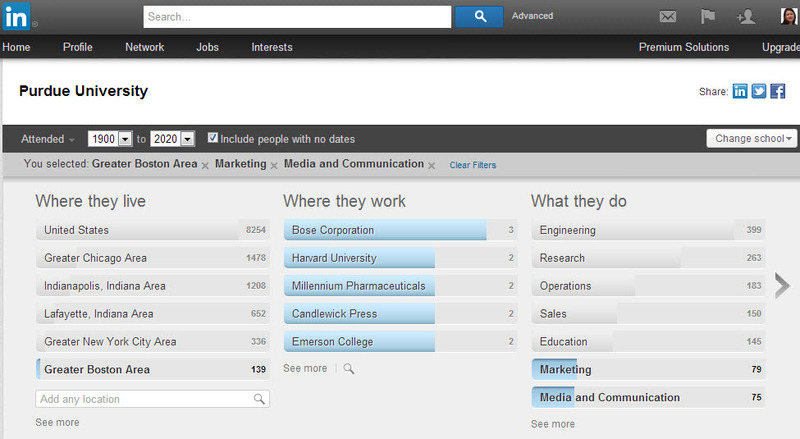 LinkedIn makes this easy to do with their alumni search feature. 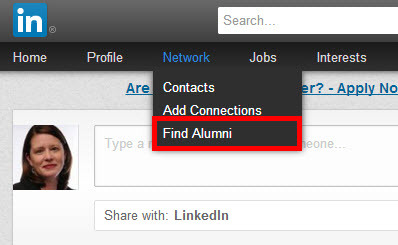 To use it, click on Network in the LinkedIn menu bar, and then choose Find Alumni. LinkedIn will automatically pull alumni for the college in your profile – if you have degrees from multiple colleges, you can choose the one you want to search for. Choose which graduation years you’re interested in, and you’ll see the top 5 cities, companies and careers for alumni from that time period. Want to see results for a certain city, company and career? Click See more at the bottom of the top 5 to expand for more options. Click on the ones you want, and find alumni connections in your field. I searched for all graduation years – there aren’t a whole lot of Purdue University grads in the Boston area, but it was interesting to see that there were some fellow alumni nearby who are in marketing and communications. Go Boilers! 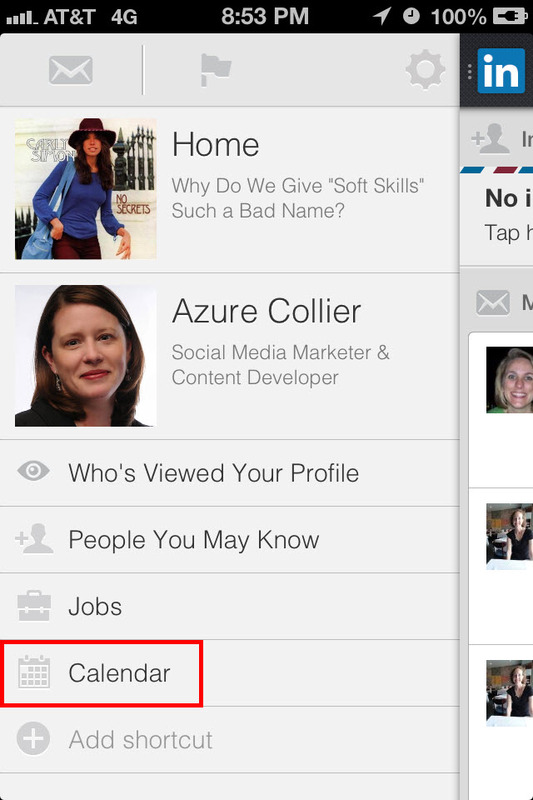 Need more LinkedIn tips? Check out this post to learn how you can add projects to your LinkedIn profile and show off your work! Thank you. This is a really well written article in which I was able to pick up some great golden nuggets. I look forward to reading more! Thanks Randy! Are there any social media topics you’re interested in or have questions about?